Lately I have become more adventurous in trying assorted flavours of coffee creamers (Either that, or I have too much time on my hands). Considering I’m a foodie who appreciates variety, I thought the challenge of being open to the arms of non dairy flavoured cream would be fun. So far, I have enjoyed my coffee tasting richer and more exotic. Sadly, I have come up disappointed on a few occasions, but hey, maybe I expect too much to begin with. 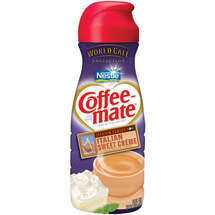 Firstly, there are the two main companies I will be referring to: International Delights and Coffee-Mate. 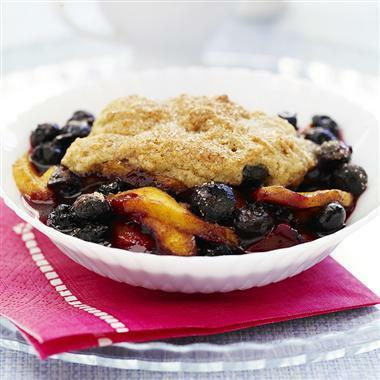 Both have strong flavours and much variety thus both appearing to be winners at slight. With all the brouhaha over coffee these days, it’s no wonder companies are trying to capitalize on consumers need for variety. 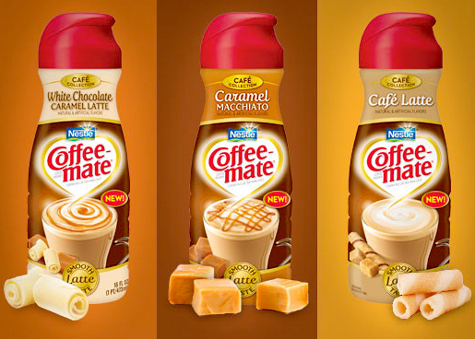 Luckily for you, consumer, you can have fun trying all the different flavors to give your coffee a facelift. 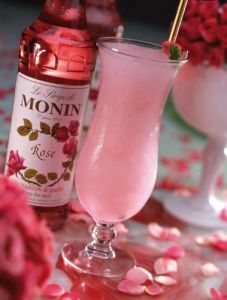 If you shop at any main grocery store, like Wal-mart or Publix, you will see a huge assortment of coffee creamer flavors from these two main brands. Both reasonably priced, both different in flavor. 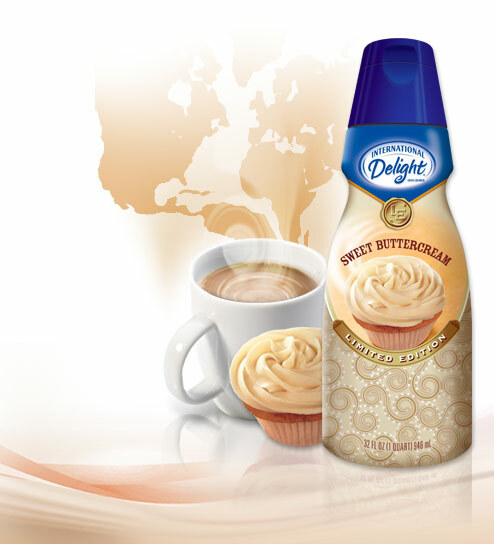 Now, according to my taste buds I would prefer International Delights coffee creamers. They offer a more naturally flavored variety. Take their French Vanilla for example the creamy, smooth strongly vanilla flavor in soaked in richness and topped off with a beautiful aroma. 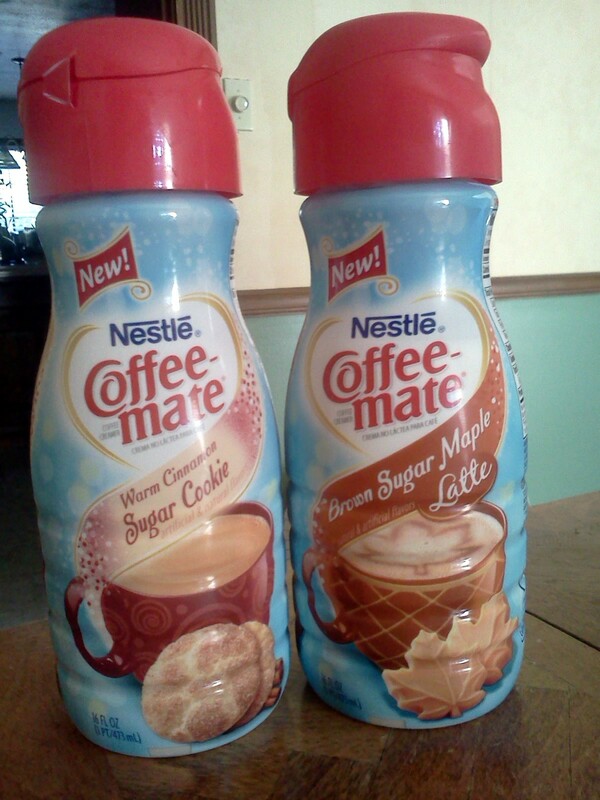 If I were to compare it to Coffee Mate’s French Vanilla, I would get a similar scent experience, with a slightly more artificial vanilla quality. Sweet Buttercream Yumfactor: 3 out of 5 tongues and a taste bud. Sweet Italian Cream Yumfactor: 4 out of 5 tongues and a taste bud.